Kick-started by vast military orders, the US company Boeing wisely invested a great deal into developing very fine airliners. With great products, a big home market and governmental support it wasn’t surprising that Boeing soon dominated the civil marketplace. It was sheer madness to take this titan on, but that’s exactly what Airbus did. This upstart from the Old Continent smashed the door open with the A300 in 1974, but it was the A320 (entering service in 1988) that established Airbus as the ‘other’ big plane-maker. The A320 was the F-16 of the airliner world, introducing both the side-stick controller and fly-by-wire to the commercial world. The A320 scared the bejesus out of Boeing: at last the 737 had a worthy adversary. The A320 family grew, and soon Airbus was selling as many airliners as Boeing. 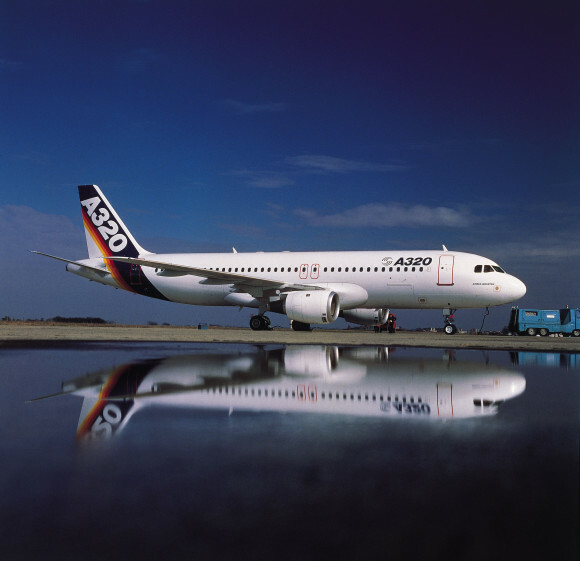 By late May 2014 Airbus had produced 6,092 members of the A320 family. This year the lean and green A320neo will join the series. The future looks bright for the neo: In 2011 Malaysia’s AirAsia ordered 200 for 12.7 billion. By late 2013 Airbus was happily holding an order book for 2,523 neos. By becoming the Pepsi to Boeing’s Coca-Cola, Airbus powered an efficiency ‘arms race’ that benefited the holiday-maker and airlines alike. We salute the A320!